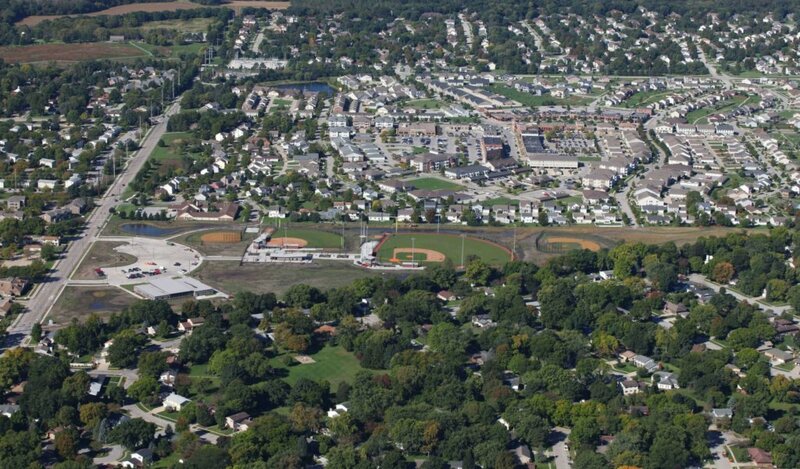 The Ames Community School District Athletic Complex project centered on the development of a triangle-shaped, 26-acre parcel of land located in a densely populated residential neighborhood. 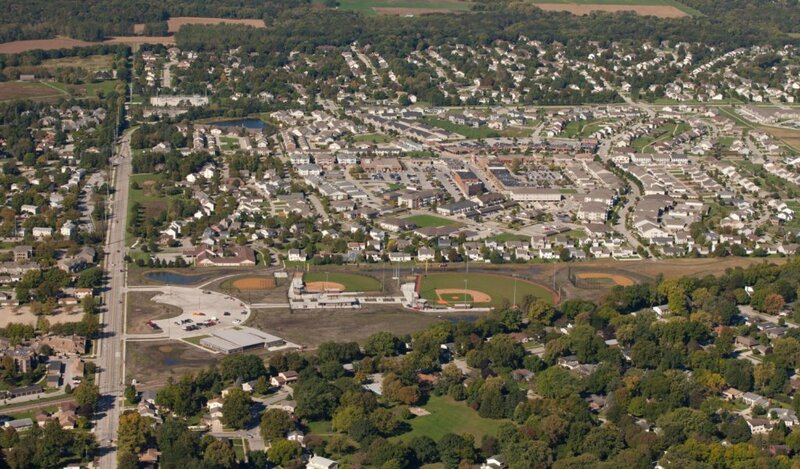 The goal of the project was to provide a new administrative facility for the Ames Community School District, along with sports fields and athletic facilities, in a park-like setting. To accommodate a high level of use and various athletic programming needs, a competition baseball field, and competition softball field, along with two practice ballfields were installed. All four ballfields feature a natural grass turf mix of Kentucky bluegrass and perennial ryegrass. Irrigation and infield subdrain systems maximize field playability. In addition, existing soil was excavated and amended to also enhance playability and support strong natural turf establishment. Stormwater detention basins and native plantings assist with stormwater management and drainage of the surrounding area. Our team of landscape architects and engineers collaborated to create a site that drains and blends within the surrounding neighborhood. Other amenities of this multi-use sports complex include eight tennis courts, a cross-country running course, and a public plaza for shared restrooms and concessions. A netting backstop system and elevated bleachers enhance the spectator viewing experience for ball games. The administrative building for the school district was also constructed. It’s approximately 18,000 square feet and includes district offices, a board room, conference rooms, and production offices for the district. This new facility brought all these services to one location. Snyder & Associates created the master plan design, which required numerous public meetings to share the proposed improvements and address questions and concerns with local residents, businesses, and stakeholders. Multiple methods of presenting and gathering input were utilized. Services provided by Snyder & Associates included landscape architecture, civil engineering, 3D graphic design services, and construction services.